635 total shares. Be the next! Save Francis to your Collection. Register Now! Francis O’Toole is a Dublin based artist, who has studied in Florence, Italy. At 17 Francis was involved in an industrial accident which very nearly claimed his life. After spending over a year in hospital and rehabilitation, Francis spent a number of years confused about what path to take in life, this lead to him straying into the wrong group of people and encountering a dark world of up and coming criminals. One day out of concern for her son Francis’ mother suggested he paint, at first Francis believe this to be silly, but slowly began to enjoy this activity. Initially working from his mind, this work began to receive attention and he entered a gallery, after this there was some demand for work. As Francis had never studIed art etc., he worked at a slow pace and was not satisfied with the results, it is at this time he then decided to study classical art techniques in Florence, Italy. After fours year intermittent study in Florence, Francis returned to Dublin and is now preparing for a show in the near future. You have been through a lot of pain and anguish and have come out the other side all the better for it as is evident in your remarkably accomplished work. congratulations. Exceptional work Francis! hope to get to see more of your work as time goes on! 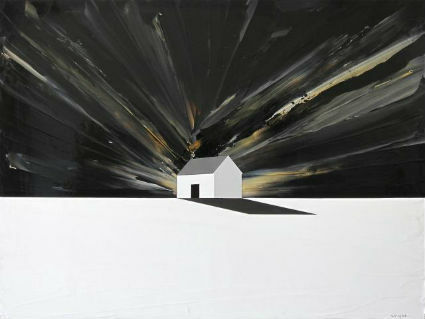 Amazingly beautiful & moving work Francis....dreaming of one day painting like this ! ..inspired ! Would be grateful if you'd share info about the school you attended in Florence. Beautiful work Alan well done! Beautiful work, Francis! I didn't know you have come through so much to be where you are today, well done. I also hope you got your RHA picture scratch repaired! Beautiful - so much talent!! brilliant work Francis , you are so gifted , so proud of you , may and michael. You are a fantastic painter Francis and if I were a monster I would have green eyes but I am not. So I bought some of your work and I am happier for it. You go from strength to strength and its a good journey to see.